An art historian’s account of the research she undertook to understand the life of a mysterious uncle. Lipton (French Seduction: An American's Encounter with France, Her Father, and the Holocaust, 2007, etc.) had always known that her father, Louis, had singled her out as his favorite and the one who would bear the memories of his younger brother, Dave. “He baited my curiosity,” she writes, with stories of an elusive young man whose life “could have gone almost anywhere” but who decided to dedicate himself to leftist politics and a conflict—the Spanish Civil War—that eventually killed him. The impulse to know her uncle, however, did not emerge until she was well into adulthood. As she questioned the father from whom she found herself periodically estranged, she was confronted with Louis’ inexplicable rage over letters that Dave had sent home from Spain. Determined to discover the truth about her uncle’s life and her father’s family, Lipton began to research the part he played in the war at museums and veterans’ societies in New York and Boston. Her work eventually unearthed the names of fellow soldiers who knew Dave and attested to his “gentleness and commitment…[and] mildness of manner.” She also learned about the expatriates like her uncle who chose to fight for Spain: passion drove them, but so did a burning desire to “[b]ecome part of something” greater than themselves. 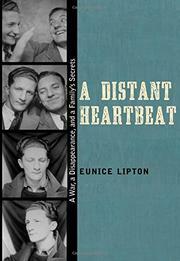 Their stories and testimonials allowed Lipton to imagine her uncle, his world, and her father and eventually uncover a bitter family truth. Louis—a man who had “made money…[and] forgot [his] idealism”—had been jealous enough of Dave to want to make their parents believe that their beloved youngest child never loved them enough to write from Spain. That Lipton never elaborates on the complications that arose between herself and her father lessens the emotional impact of the book, but the abiding love she reveals for the uncle she never met is heartfelt. Flawed but well-researched and often stirring.